FD Waagenbau GmbH - Our packing scales "Shorty"
Dust protection system: Suction port with direct extraction. Easy-clean-system recommended for those who bag lots of different products, or need frequent product change. 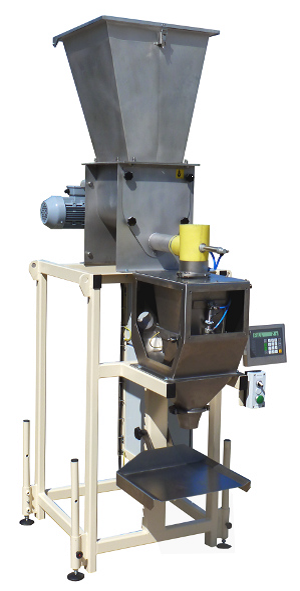 Vibratory batching chute with check valve to prevent trickling of the material and overfilling. Container size: 0.1 and 5.0 kg packages: (paper/plastic) bags or cans; Alternatively 10 and 12.5 kg if you fill the material twice in. 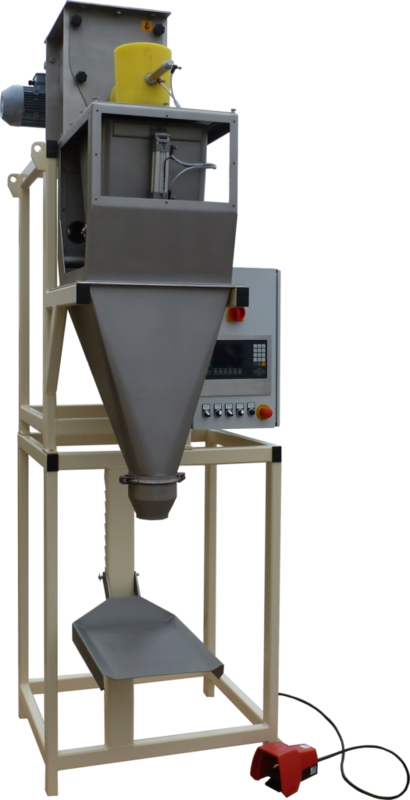 Weigher: Net bagging system (weighing bin for pre-packing the material, and final feeding into the bag or box.